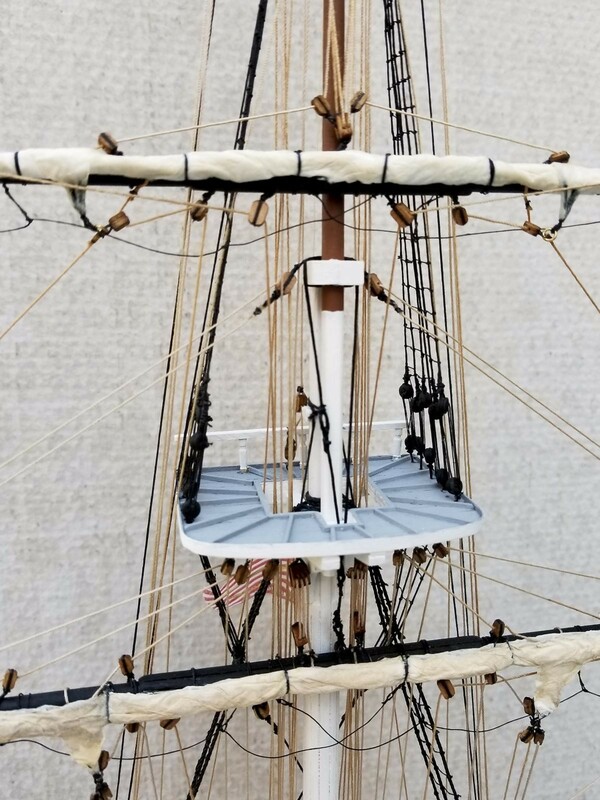 To keep with my “building the ships I’ve visit”, I’m presenting my “Old Ironsides”, Mamoli, 1:93 scale, USS Constitution, cross section kit. 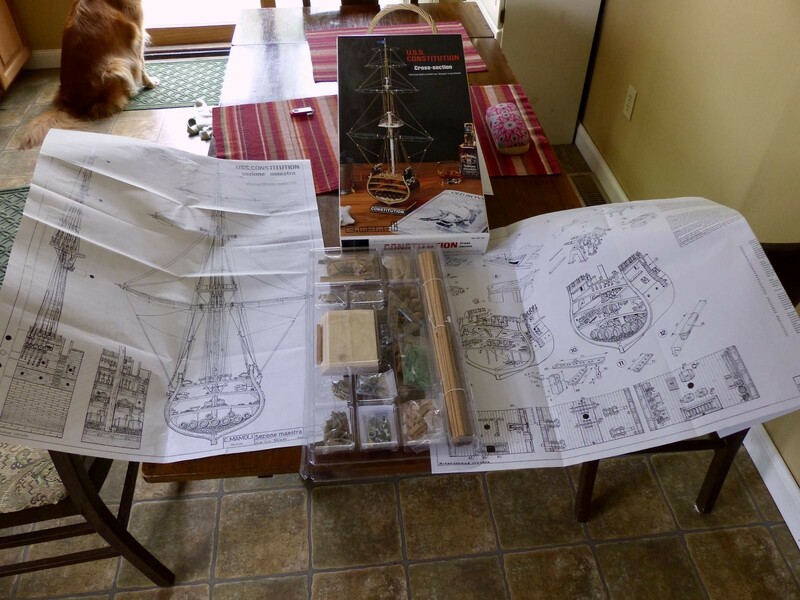 Constructed and rigged mostly per the plans but I did add furled sails, hammocks and US and First Navy Jack flags. I built the case to include a mirror in the back to add some depth to the display. 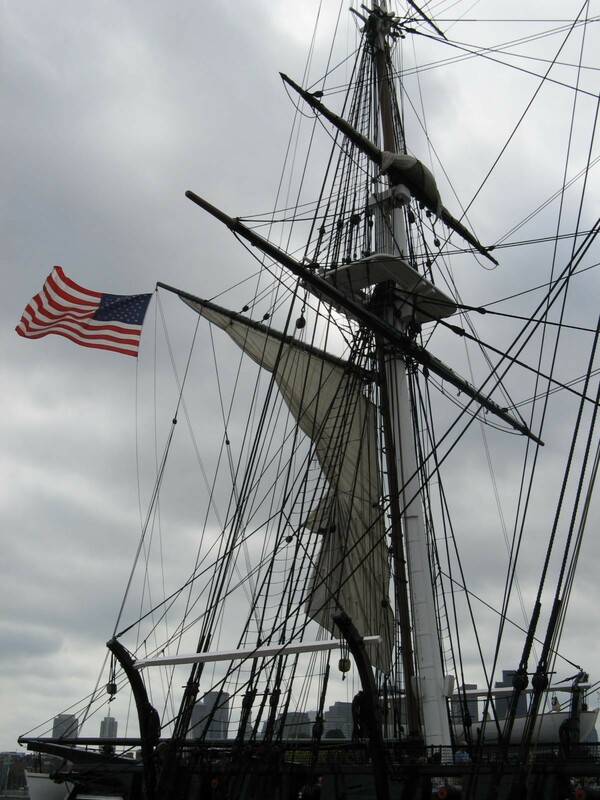 I’ve had the pleasure of visiting the oldest US commissioned warship twice and plan to get back there again in the near future. Hope you enjoy. 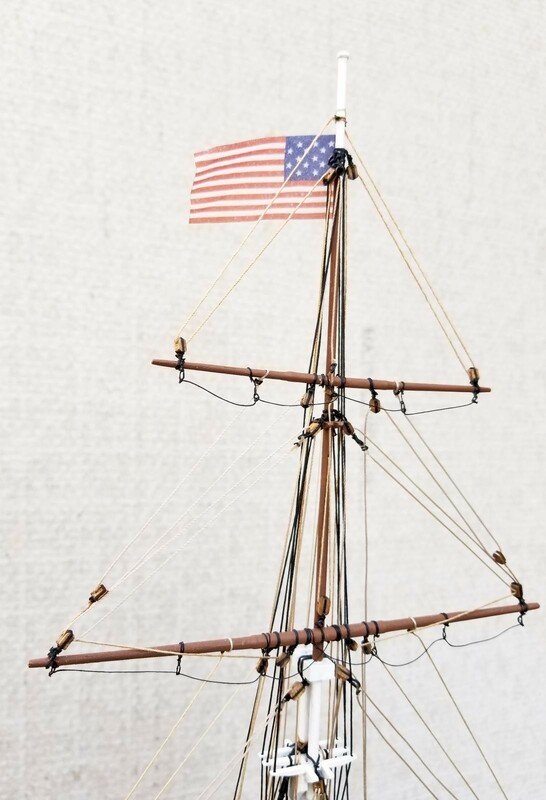 16 responses to “Old Ironsides” The US Navy’s Oldest Commissioned Ship! 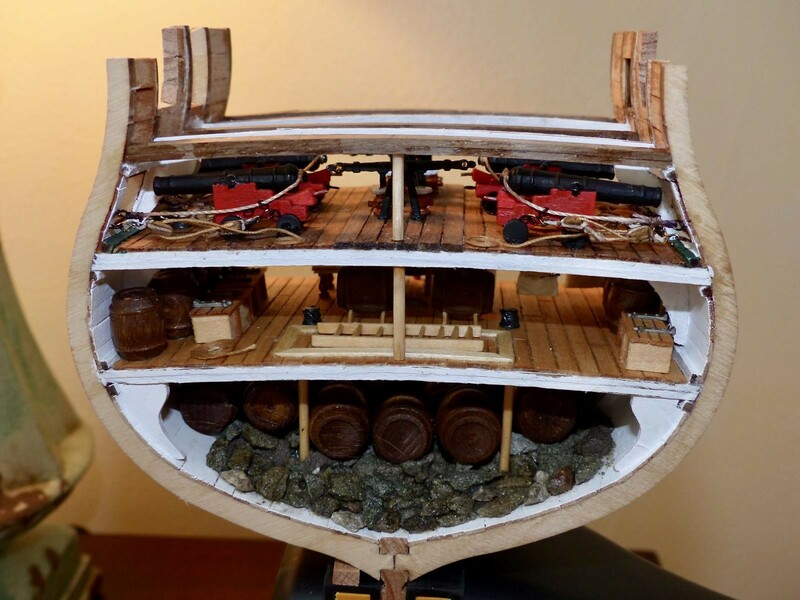 This is a magnificent model how long did it take you to build? If I remember rightly shes in Boston and they take her out once a year? Hi David and thanks for the compliments! It took me about 5 months, off and on, to build the kit and case. 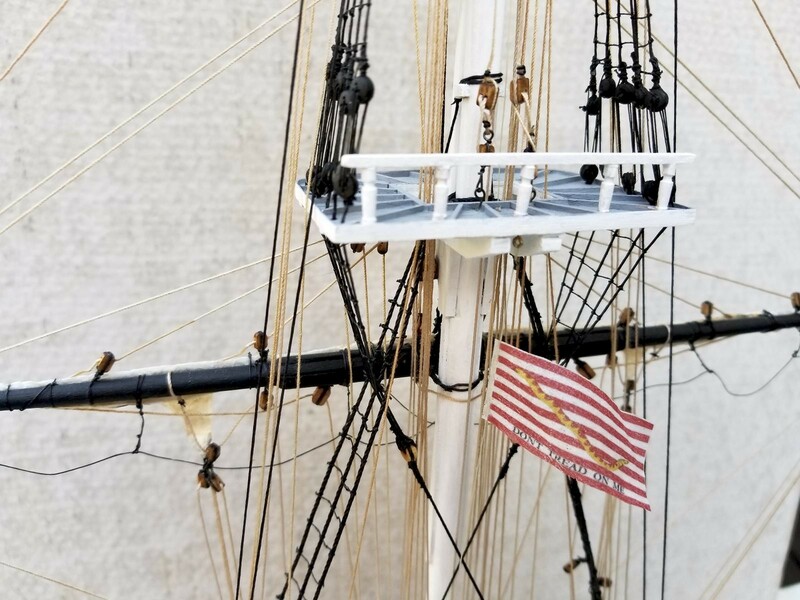 Yes, the USS Constitution is berthed in Boston. 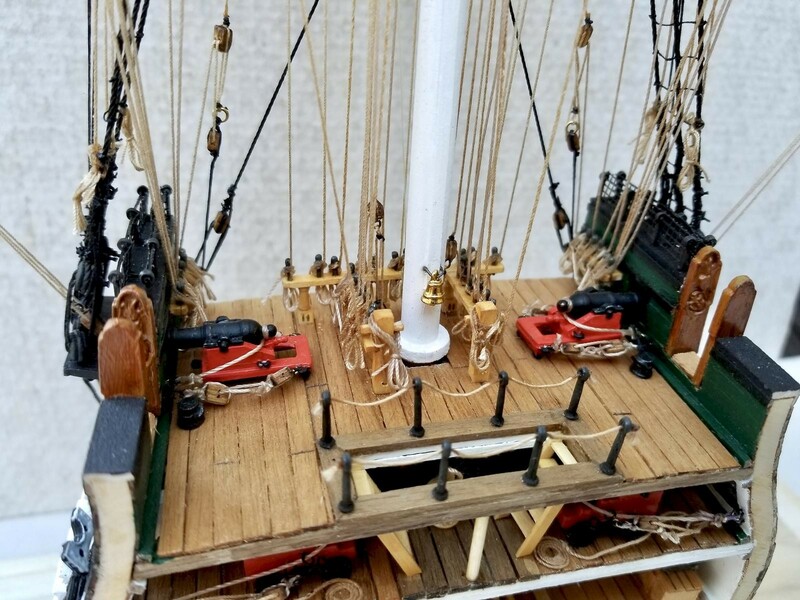 I’m not sure how often she sails but she recently went through a thorough restoration while in drydock and is now available for touring again. Very nice Gary (@gwskat) ! 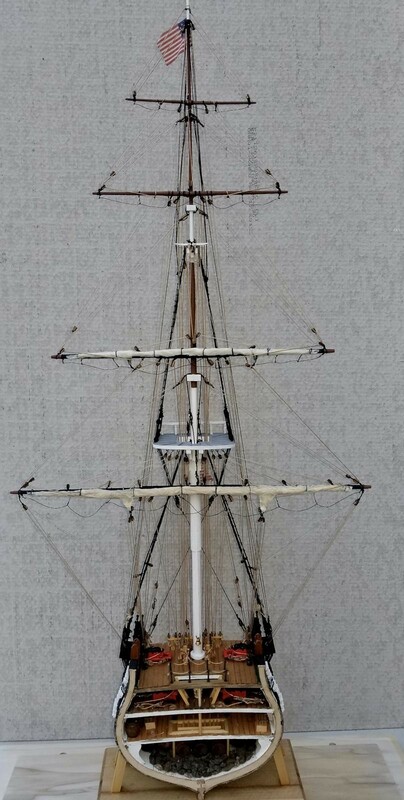 I like ships too, especially these old sailing ships. 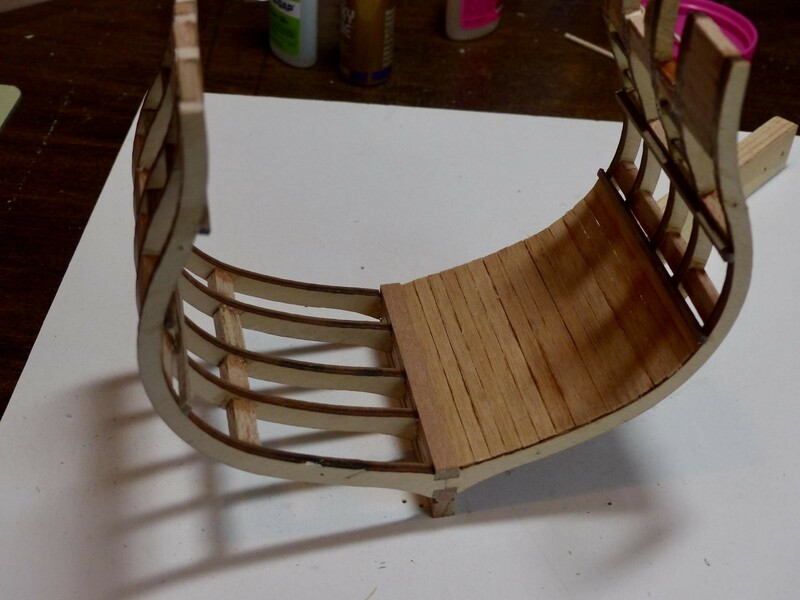 Only built one many years ago, but on a much smaller scale. Have another one on its box, one of these days I may give it a go. It’s on Boston now I believe. 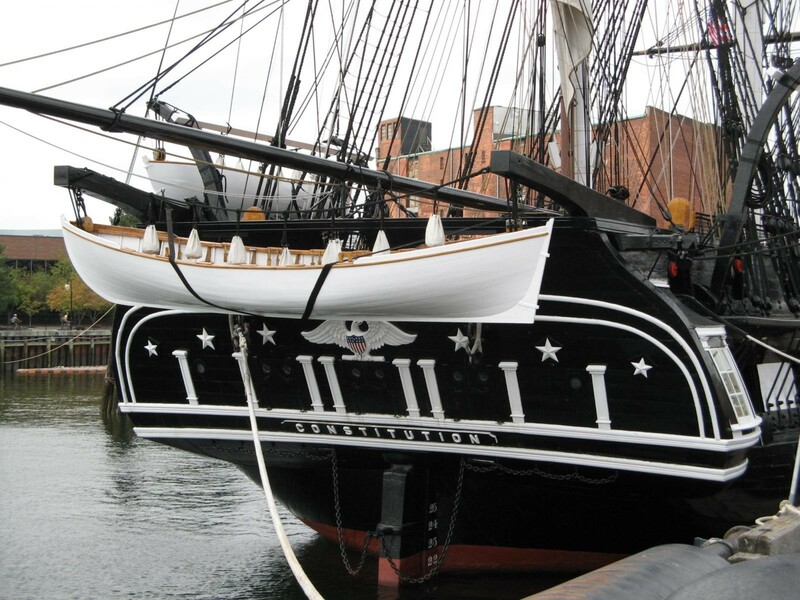 I visited the USS Constellation once, in Baltimore, back in 94. 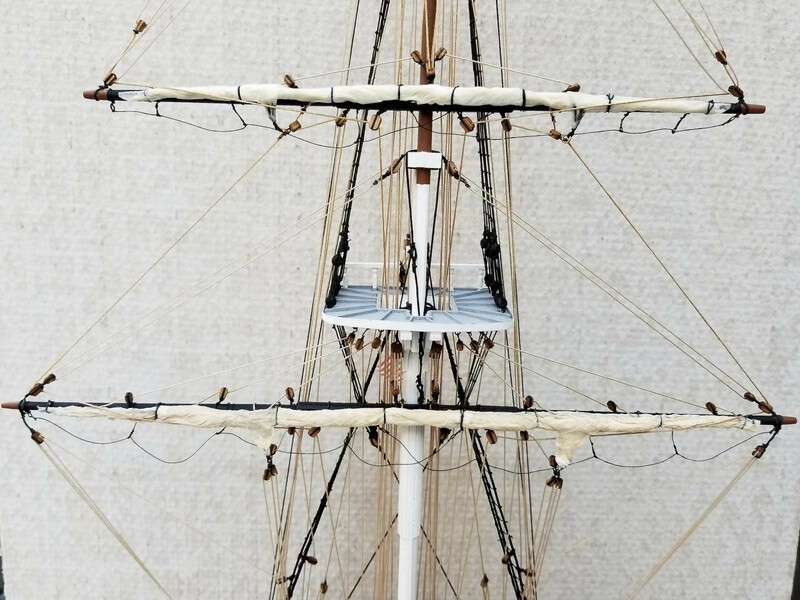 Sailing ships are just beautiful pieces of History! You did a great job there, congratulations! Thanks Dolf. 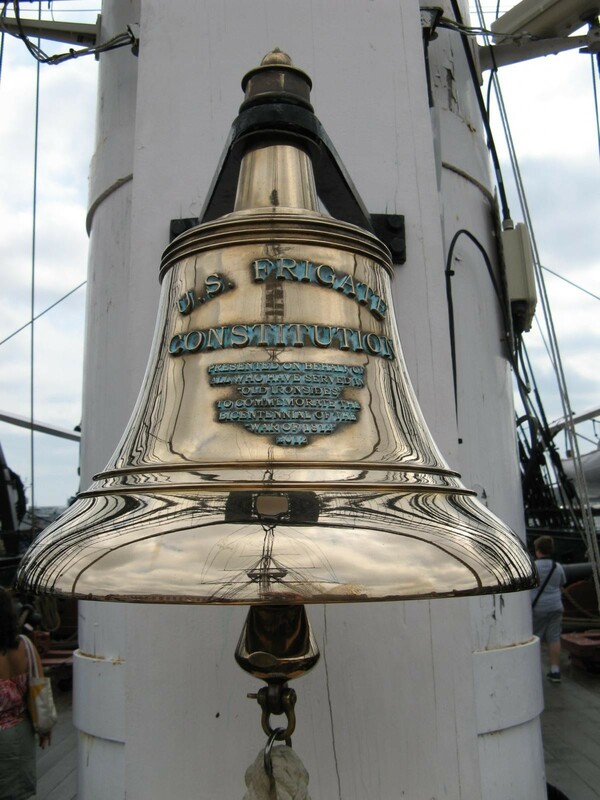 The Constellation is the sister ship to the Constitution. I’d like to visit the Constellation but I’d have to build her since I visited her and I’m not ready to take on a wood ship project just yet. LOL! Maybe someday. Exquisite piece of modeling indeed. 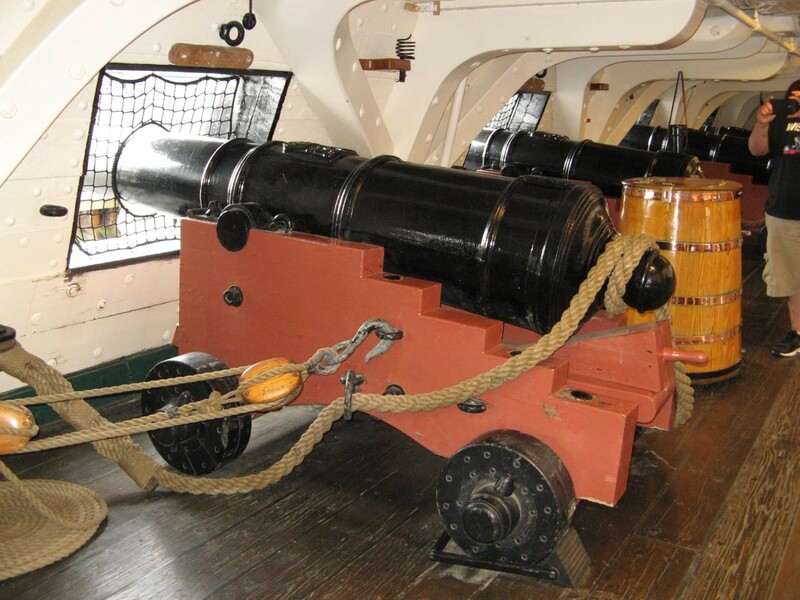 I’ve visited and toured the USS Constellation in Baltimore. 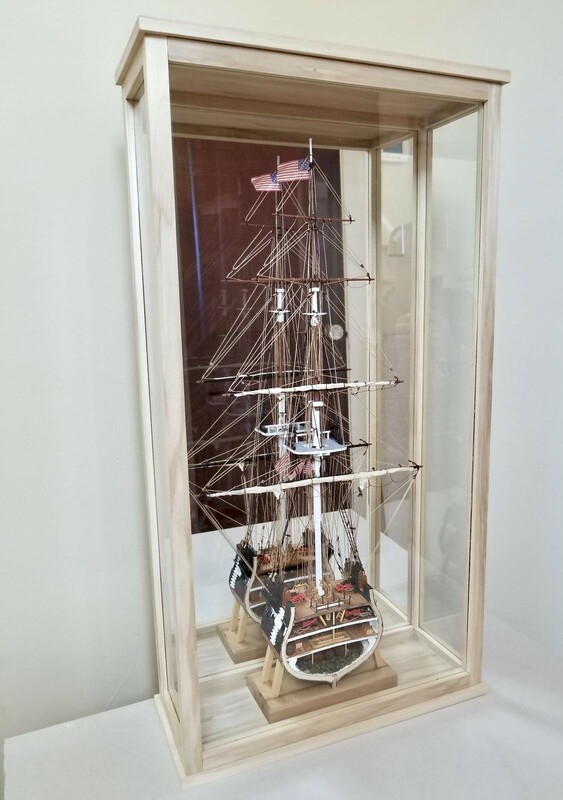 It’s beautiful, and I’ll bet “Old Ironsides” is too. Nice! 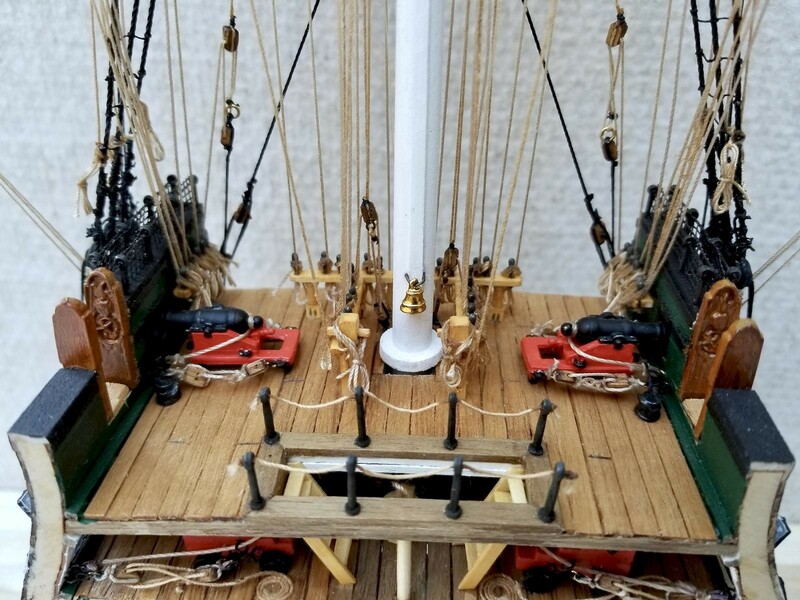 We don’t see too many sailing ships here, so hat off to you for posting this. 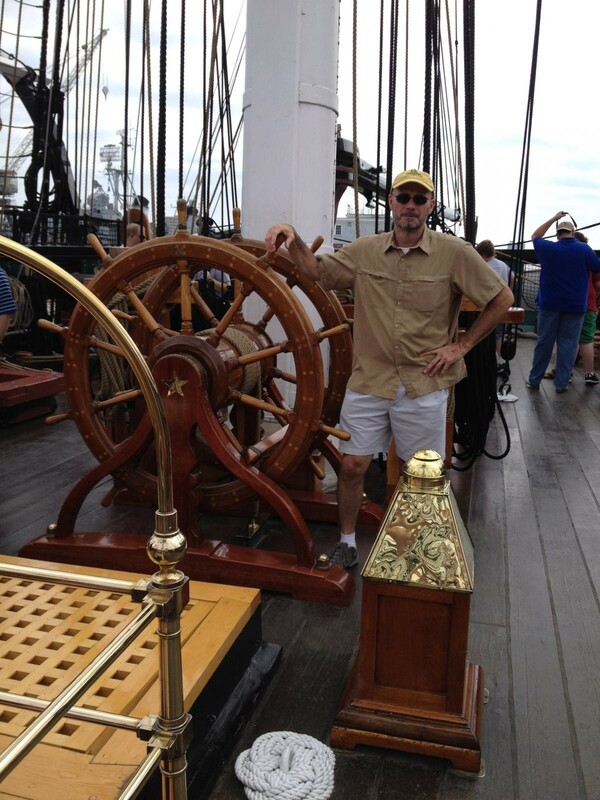 I was aboard the USS Constitution twice. The first time, 1985 I believe, we were allowed into the captains cabin. 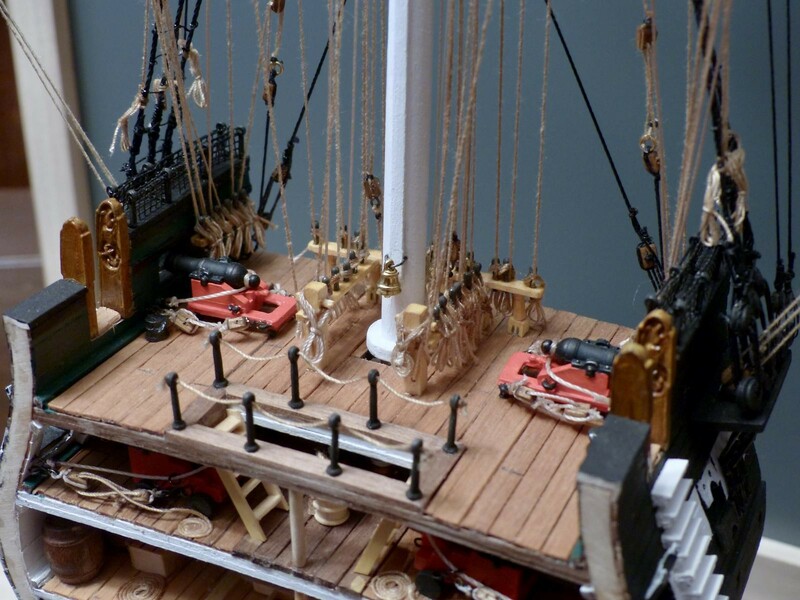 2007 the tour was more restricted, but the ship had been very well restored. 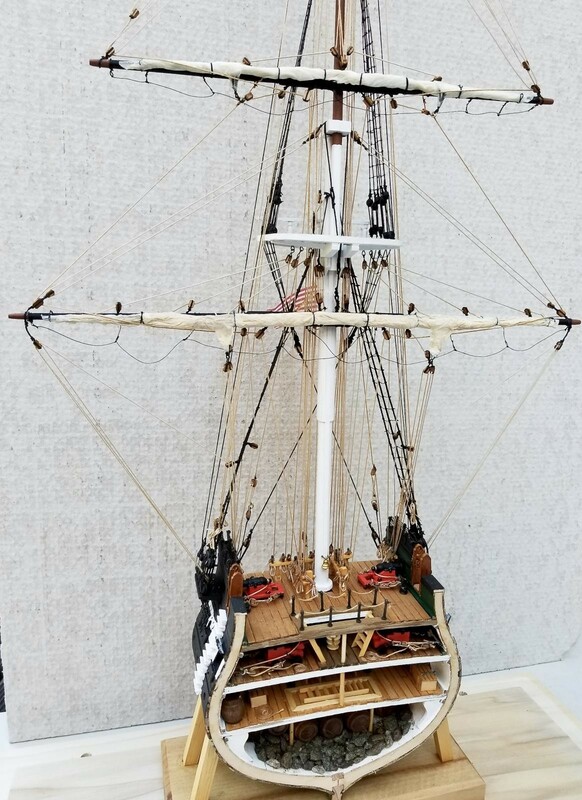 Thanks Ulf, Along with my Brig Niagara I posted a few months ago, https://imodeler.com/2018/06/brig-niagara/ , I have one more wooden ship model, The Sultana. I’d like to do another someday but they are projects that one has to be ready to put in a lot of time to complete and I’m not ready for that at this time. Very nice! 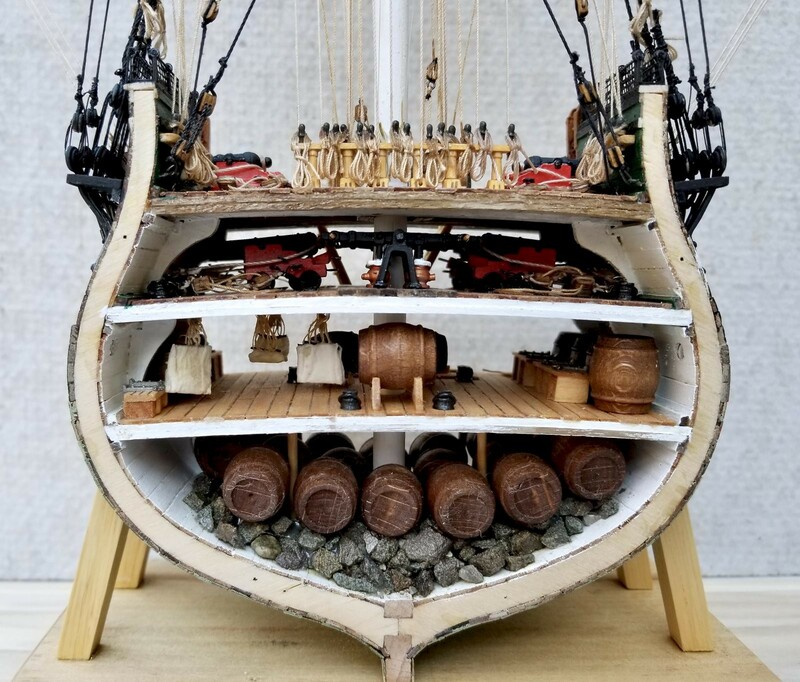 Beautiful work on this national treasure replica. 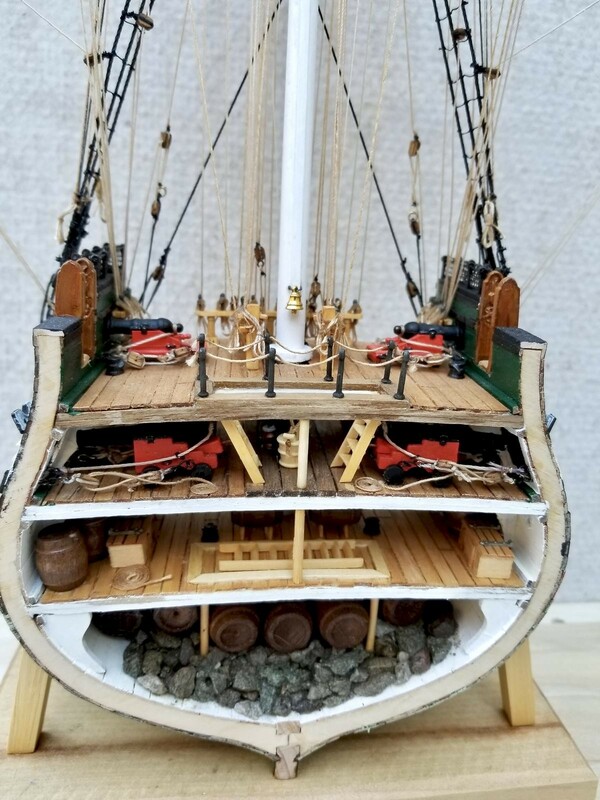 These truncated ship kits are popular now, as you get some of the detail without the huge space requirement. 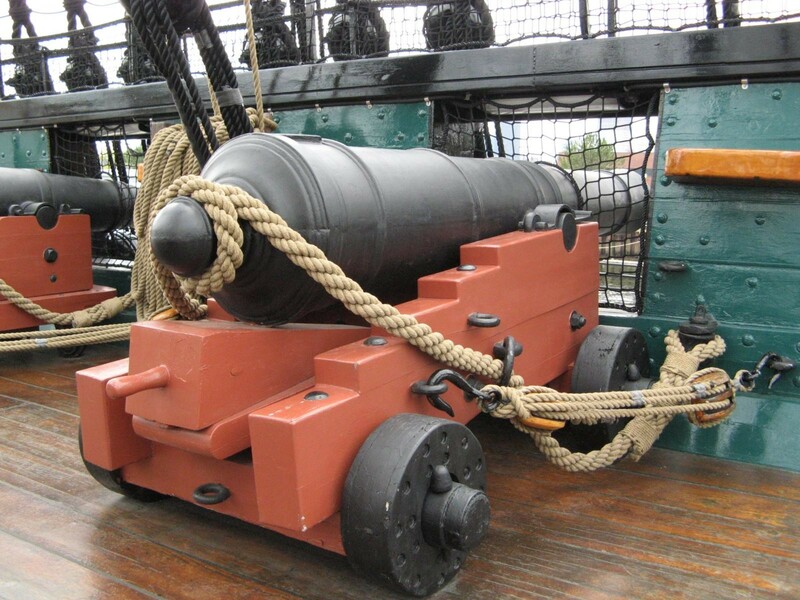 Good to see the cannons rigged. Nice job! 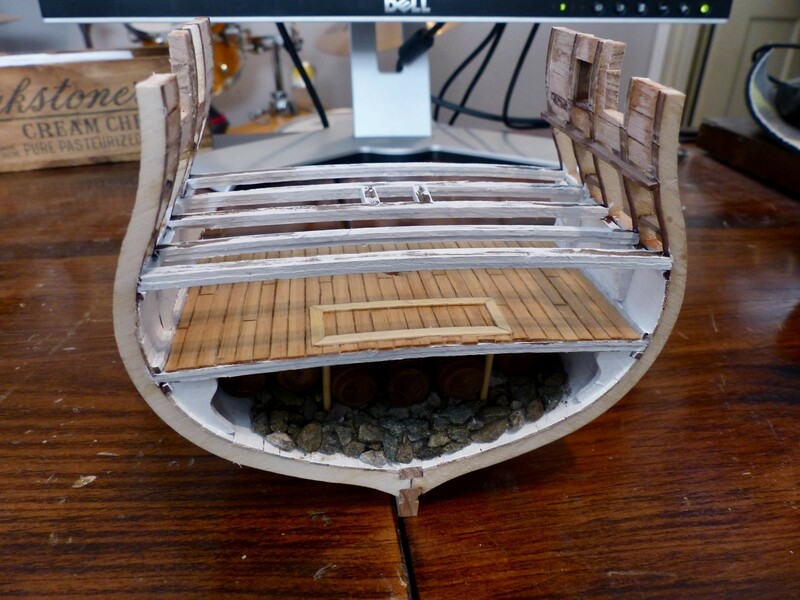 Excellent build and presentation Gary! The case really looks great and should protect it for years. I especially like the idea of the mirror. 1/72 F-4G[B] Phantom VF-213,Early Hasegawa.